If you love the design of the Huawei Watch, but your wallet firmly objects, then you can check out this, let's say, tribute to the design. 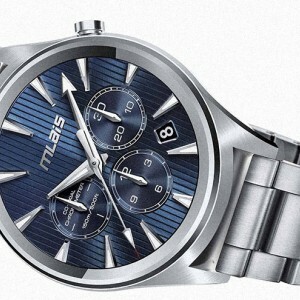 The Mlais smartwatch will cost $123 when it becomes available on Gear Best. It features a 316L stainless steel case and genuine leather band (metal straps are available as well). The screen is a 1.3" TFT with 360 x 360px resolution (276ppi), there's no word on the glass. The case is water resistant to an unspecified rating. The Mlais smartwatch is powered by MediaTek's wearable chipset, the MT2601, with a dual-core processor, 512MB RAM and 4GB storage. 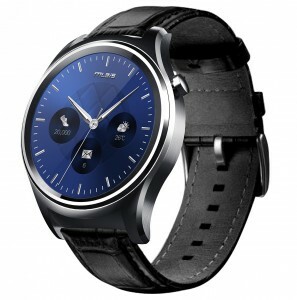 The watch runs Android 5.1 – presumably that's the base for Android Wear instead of full-blown Android. The battery is pleasingly big at 400mAh (promising 2-days standby) and you get a heart rate monitor. Wi-Fi is available, but no GPS. From bad experience with Mlais phones i daut that the watch will be different. Finally an affordable Android Wear watch?